The Cochrane Foothills Preventative Association supports several different safety awareness programs. 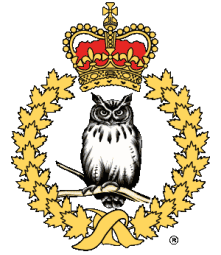 With assistance from the RCMP, APRCWA, and the Government of Alberta Solicitor General and Public Security, we are able to bring the Wise Owls Program to our communities, a program dedicated to providing fraud awareness education for seniors and the general population. Seniors in our communities are often victimized by criminals. The Wise Owls program was established to help educate seniors about fraud prevention. The program gives an overview of many common scams and frauds and how to recognize them. Seniors will come away with the necessary tools to recognize a scam. The Wise Owls program is provided free of charge. If your organization would like to have the Wise Owls program presented to your members, please contact the CFPA Secretary by e-mail to info@cfparcw.ca. Help us help your seniors learn ways to protect themselves.